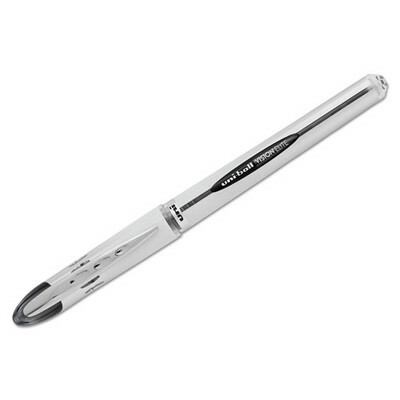 The Uni-ball Vision Elite Stick Roller Ball Pen features the uni-flow ink system which creates a steady flow of water-resistant ink and smooth, consistent black color. The exclusive pigment-based ink forms an indelible bond in paper, for intense coloration and document security. The ink is acid-free making it archival quality which is a perfect fit for valued documents. Being airplane safe, it's engineered to eliminate leaks due to changes in cabin pressure.